Today data is more important than money for organizations. Imagine a scenario where due to some technical damage you end up losing your whole information which took years to maintain. It can be customer database or past transactions in business which are used to perform trend analysis. Such loss of data can hamper your work to a great extent. When you encounter this situation, then only an expert with relevant technical knowledge can help you. 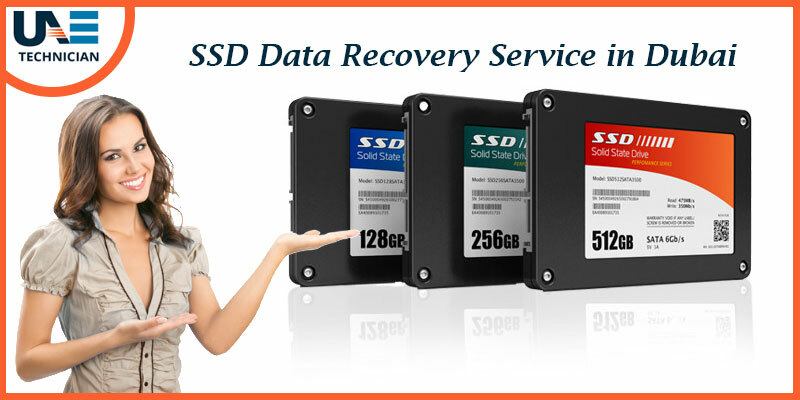 UAE Technician offers you quality data recovery services for all SSD memory options. With the experience of years in the data recovery industry of Dubai, we have become the first choice of users. We recognize that you can face technical problems at any time. To provide you convenient services we have established a system of 24×7 customer support. Now, all you need is to contact our experts through our helpline. They will make sure that you get answers to all your queries along with suitable solutions in minimum time. Whenever you encounter such issues, then the first thing which comes to your mind is of searching a repair centre near your location. With our feature of on-site assistance, you can have productive and affordable solutions at your doorsteps. By contacting our customer support, you can book an appointment with our professionals. They will visit you as per given requirement of time and place. Now without stepping a foot outside the office or house, you can get class apart services without any delay. Why should you select us as your service partner? If you are also facing issues with SSD, then contact us today and get the services which your device deserves. We will make sure that you get best in class solutions without any delays.